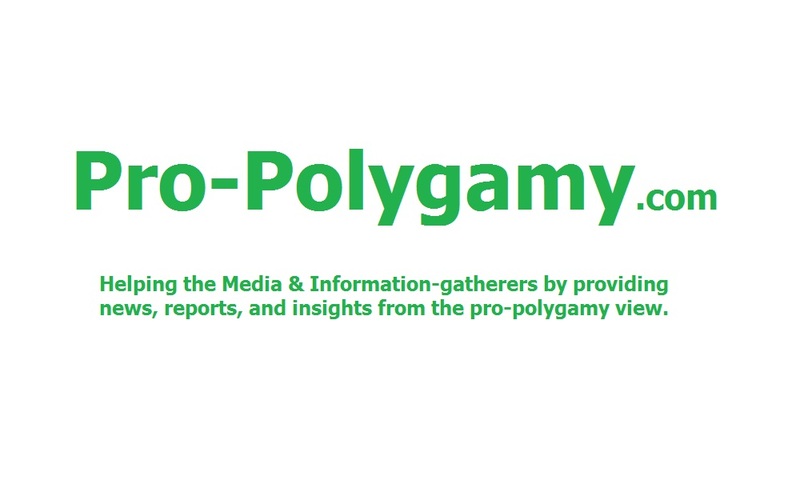 ﻿ Pro-Polygamy.com ™ - Ann Coulter Supports Polygamy Rights or She is "Certifiable"
Supposed "conservative" pundit, Ann Coulter, insulted GOP Presidential candidate Ron Paul after he repeated the limited government solution to big government marriage control. She even went so far as to call such support as "certifiable." At the Republican Presidential debate on June 13, 2011, candidate Ron Paul was asked for his position on a federal marriage control amendment. He answered with what the National Polygamy Rights Movement for Consenting Adults has proposed for years. Namely, Paul said, "The federal government shouldn't be involved. I wouldn't support an amendment. But let me suggest - one of the ways to solve this ongoing debate about marriage, look up in the dictionary. We know what marriage is all about. But then, get the government out of it. ... Why doesn't it go to the church? And why doesn't it go to the individuals? I don't think government should give us a license to get married. It should be in the church." 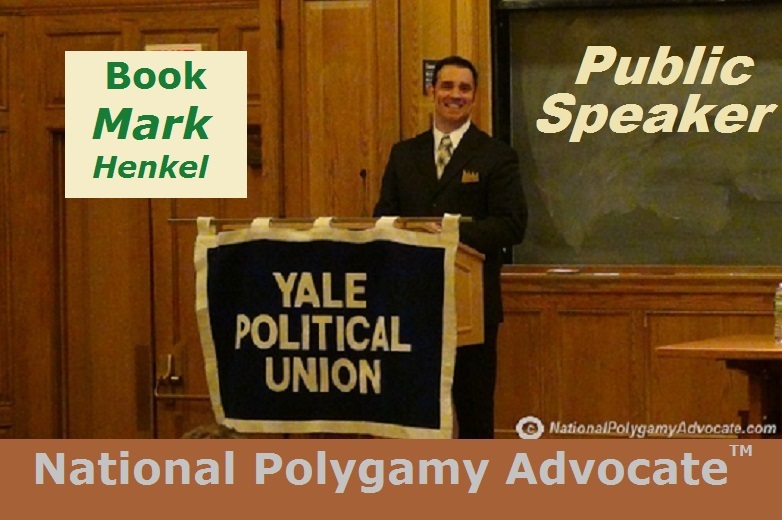 Paul's reply was stated so exactly as if National Polygamy Advocate, Mark Henkel, was, himself, presenting the Polygamy Rights Win-Win Solution for ending the marriage control debate. But that limited government solution was not acceptable for the supposed-to-be "conservative" Ann Coulter. On June 15, 2011, she penned a big government diatribe against Paul, titled, "Get Rid of Government - But First Make Me President." Posing as a limited government conservative, she instead revealed her duplicitous socialism. Coulter explained, "'Get the government out of it' is a good and constitutionally correct answer to many questions, but it's not a one-size-fits-all answer to all questions." Most Republicans would say that Coulter therewith sounded quite like Democrat President Obama! Coulter then started her attacks against Paul's use of the limited government solution for ending the marriage control debate. Because she actually had no genuinely valid argument to make, she opened with an insult in profanity. Coulter declared that the "Get the government out of it" answer is "a chicken-s--t, I-don't-want-to-upset-my-video-store-clerk-base answer when it comes to gay marriage." When a pundit resorts to insulting, un-publishable profanity, they have already lost the argument. Coulter then launched into attack mode, but not with conservative arguments. Rather, she used the liberal-tactic of big government arguments and solutions to oppose Paul's limited government response. She rhetorically "asked" how adoption, child support, child custody, company health care plans, "do not resuscitate" authority, inheritances without wills, and benefits for Social Security and Medicare would be handled without big government marriage control. Her use of that tactic of using big government questions to scare people into maintaining the big governmental status quo of marriage control was simply taking a page out of the playbook of any political liberals who try to "justify" any other big government program or law that is suddenly put on the limited government chopping block for abolition. To wit, when the Republicans sought to privatize Social Security in 2005, the Democrats used this exact same scare tactic so as to "justify" the "need" for big government control of Social Security. Coulter immediately followed that first liberal-tactic attack with a second attack. She railed against Paul for his being willing to work through the weaning-process of getting people's dependence off of Social Security and Medicare. Using rhetoric to sound like a conservative, Coulter even correctly identified Social Security as the "Ponzi Scheme" that true conservatives do say that it is. But to Coulter, immediately privatizing Social Security is "more important" than privatizing marriage, even though the former is not yet politically possible. So, she used the second tactic to absurdly suggest that Paul is somehow not a true limited government supporter after all. Privatizing Social Security had been attempted in 2005 under the Republican President Bush administration – and Ron Paul had supported that attempt. Not only that, but during that failed attempt, true conservative pro-polygamists were also reminding the GOP of how that privatizing issue applied to marriage control too. 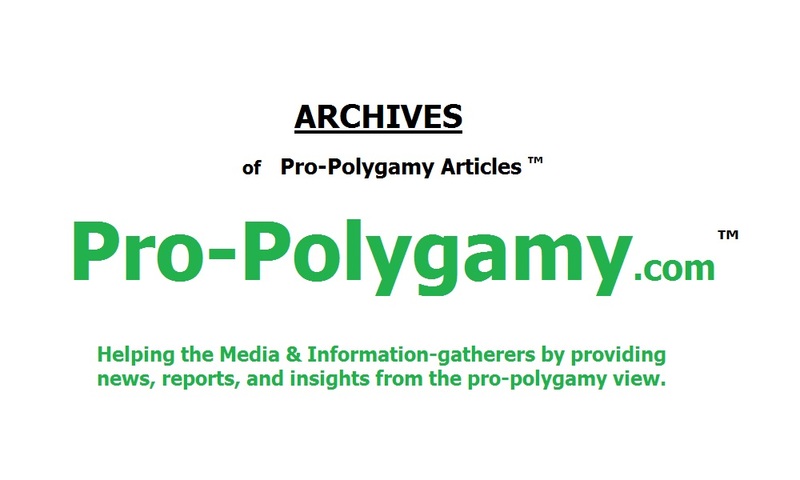 On March 11, 2005, the distribution site, Pro-Polygamy.com, distributed an op-ed to the media, titled, "Privatize Both Social Security and Marriage." Either Coulter is grossly uninformed or she simply neglected to actually tell the truth about the privatization connection between Social Security and marriage control among true conservatives. Either way, after she made that second attack, Ann Coulter then turned around and openly contradicted herself. Addressing all the scare mongering questions she had previously raised against the limited government solution for privatizing marriage, she actually admitted, "Some of those legal incidents of marriage can be obtained by private contract – such as the right to inherit and make medical decisions." And then further on, she confessed even more clearly, "It's true that eventually - theoretically - there could be private institutions to handle many of these matters." Thereby, Ann Coulter admitted that all of her previous liberal-tactic questions against the limited government solution for ending marriage control were irrelevant. Indeed, her confessed-admissions exactly express what consenting adult pro-polygamists have always understood about the Polygamy Rights Win-Win Solution. By abolishing government marriage control for unrelated consenting adults, private individuals and private institutions are free (from big government) to contract and/or solve any of the questions she "raised." But then Coulter reversed back again, to make her attacks even worse, and disguising government marriage control with the socialist label of "official marriage." Coulter claimed, "for anyone calling himself a libertarian to put eliminating official marriage above eliminating Social Security and Medicare is certifiable." Therewith, she hypocritically "faulted" Paul for being "too big government" on Social Security as her justification for somehow still "needing" big government for marriage control. That's right. That's what she just said! True conservatives everywhere will now be shaking their heads, thinking how Democrat President Obama could not have declared such duplicitousness more openly than Coulter just did there! Clearly, conservatives could successfully achieve a true limited government solution on the marriage control issue, as they could successfully generate real political support even from some Democrats to abolish marriage control for unrelated consenting adults. But the same likely success cannot yet be said for trying to obtain political support for ending government control of Social Security. So, in Coulter's apparent insanity, because the limited government solution for privatizing Social Security cannot yet be politically achieved, she irrationally thinks that that justifies not working to achieve the politically-possible limited government solution which actually can be successfully achieved for privatizing marriage. But rather than recognize her own "certifiable" insanity and duplicity, she resorted back to yet another insult, comparing Ron Paul to the silliness of a meat-eating vegetarian. If that analogy compared to anyone, it is to Ann Coulter herself. Sane conservatives would reject such insanity. Limited government is limited government. Coulter's opposition to Social Security is her way of claiming to support limited government. She confessed that all her questions about privatizing marriage can indeed be privately solved anyway. Accordingly, genuine sanity requires Ann Coulter to support the answer that Ron Paul gave about marriage control. And that means Ann Coulter must indeed support the Polygamy Rights Win-Win Solution for ending the marriage debate: to abolish all big government marriage control for unrelated consenting adults. Unless of course - using her own word - Ann Coulter is truly "certifiable." Ann Coulter: "Get Rid of Government -- But First Make Me President!"